Preheat broiler. 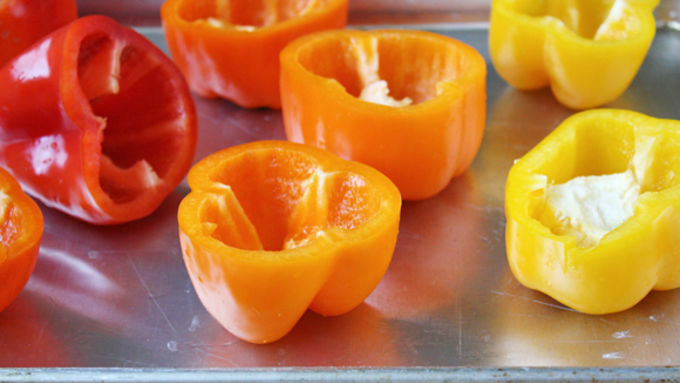 Place peppers on a rimmed baking sheet and broil 5 minutes to soften the skins. Remove from oven and set aside. Turn down oven heat to 400°F. Cook rice according to package directions, then set aside. 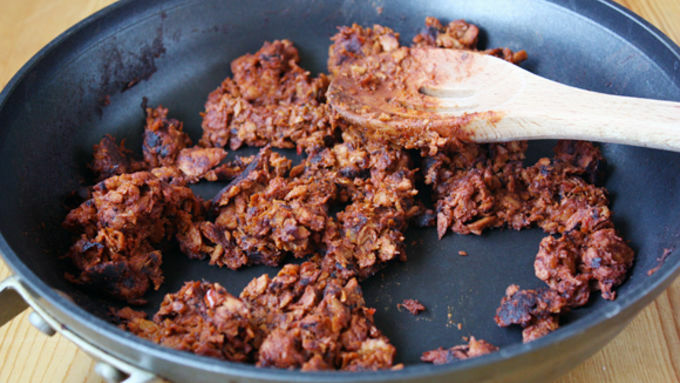 Cook chorizo on a hot skillet until cooked through and golden brown and slightly charred, about 8-10 minutes. In a large bowl, toss rice, chorizo, salsa, cumin, paprika, chili powder, green onions and salt and pepper to taste to combine. 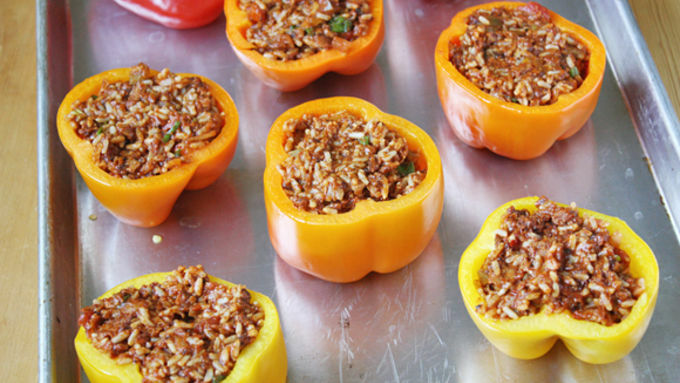 Stuff peppers to the top with filling. 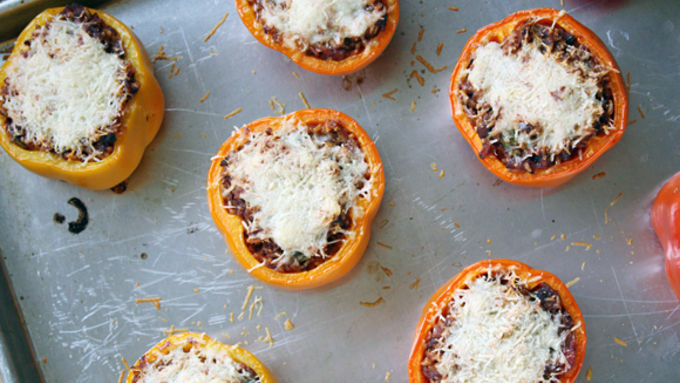 Sprinkle shredded Manchego cheese on top of peppers. Bake about 20 minutes until cheese is melted and slightly browned--keep an eye on them to avoid burning. 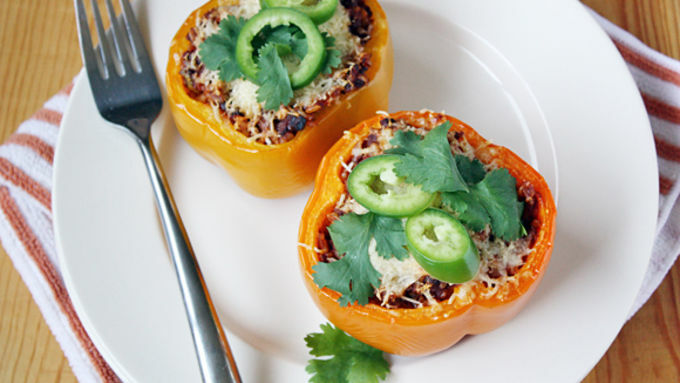 Remove peppers from oven and top with fresh jalapeno slices and cilantro leaves, if desired. Serve immediately. I can best describe the taste of these Chorizo Stuffed Bell Peppers by comparing it to the movie, “Drive.” As in, they seem all trendy and cool and whatever and then you take a bite and you’re wondering what all the hey-hoo is about anyway because it’s starting to get really boring watching Ryan Gosling drive around when BAM! The you-know-what hits the fan, things get cray-cray and your mouth is on fire (in a good way, of course). 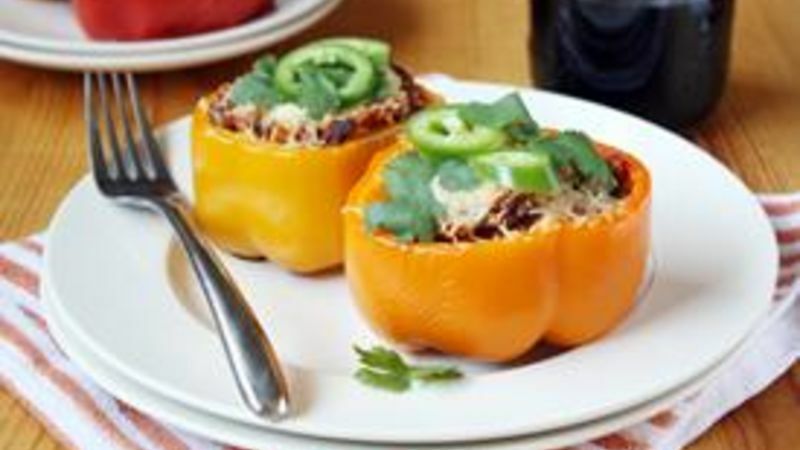 And then you and Ryan Gosling drive off into the sunset together, just you and him and these chorizo-stuffed bell peppers. OK, that’s not really how it ends. Maybe that was just a dream I had, I don’t know. ANYWAY, my point is that these bell peppers are delicious. But they don’t seem that way at first. Once you take a bite your mouth is all Debbie Downer and then suddenly a wave of yummy flavor smacks you in the tastebuds and you realize, “Yes, these are awesome.” And then you and Ryan Gosling hold hands – wait, what? Top the peppers off with some cilantro and jalapeno slices, and serve pronto. Ryan Gosling and the sunset are optional. Though highly recommended.